Two new RIBA building contracts aimed at small scale projects have been launched, with one version for all types of non-commercial work, such as to a client’s home, including renovations, extensions, maintenance and new buildings. The other covers small scale commercial building projects. Following research among RIBA members, the institute identified the need for improvement within the available contracts and developed these new forms to address the gap in provision. These contracts have not been developed to compete with alternatives – as a founder member the RIBA continues to support JCT – but in acknowledgement that in many instances architects, and their clients, were identifying that existing forms were unsuitable for the scale and complexity of domestic or small scale commercial projects or did not address typical core issues (for example, in the new contracts the client/architect may propose a specialist subcontractor or supplier with a fairer allocation of risk). Importantly, the contracts have won endorsement from the HomeOwners Alliance, which campaigns for the rights of homeowners. The first, strategic, shift is towards easier to use – and re-use – digital contracts. In the long term, practitioners will be able to have their own digital ‘space’ to store contracts. It will contain their digitally signed contracts, for easy downloading in the event of a dispute, and originals for easier editing and re-use. Digital versions of contracts have more intuitive interfaces for adding core project information and accessing guidance notes, providing the knowledge necessary for the correct information to be inserted. The second strategic reason is the shift towards a holistic and seamless set of contracts for appointment documentation (professional services contracts), and building contracts that ensure consistency and reduce the risk of conflicting contract clauses. An example would be ensuring that design responsibility is framed in professional services contracts in the same manner as the contractor design portion (CDP) in the building contract. 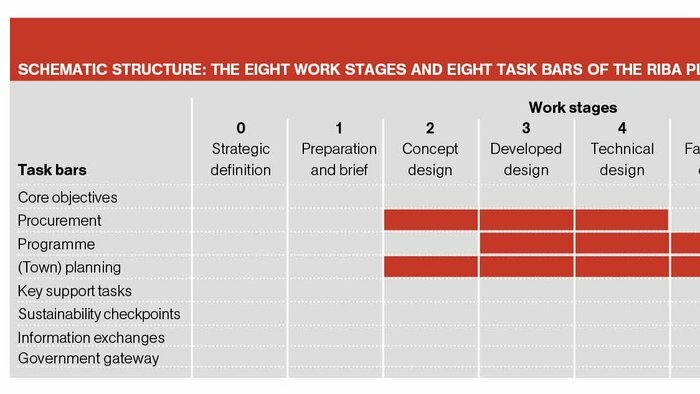 In the longer term, the way architects are working is changing, with architects typically undertaking different roles on projects. On larger projects the architect commonly acts as architect and lead designer whereas on smaller projects they may also undertake contract administrator, health and safety adviser and cost consultant roles. The group has identified that in many instances the architect will appoint and employ the other members of the design team. It has also recommended that where the client is appointing each design team member, the project lead/lead designer should be aware of, and sign off, the schedule of services and design responsibilities/deliverables of the other design team members. These all point towards a suite of digital contracts for both appointment documents (professional services contracts) and building contracts that can be reused or adapted. These two RIBA building contracts are one step along the way. They are relevant and focused around the needs of those undertaking smaller projects: moving towards a more intelligent, digital and flexible suite that is easier to use yet reduces risk. Dale Sinclair is RIBA vice president of practice and profession and director of technical practice at AECOM.